In spite of living and working just a mile away from South Kensington and passing through it most days, I never felt as if I really knew the area. To me it was a vague ensemble of various things – the museums, French people, a really good sheet music shop, the tube to Heathrow – but I’d never spent much time there. From the top deck of the number 49 to Battersea I’d catch a glimpse of what looked like some nice restaurants or a lively bar, but it always remained a fairly unknown neighbourhood. 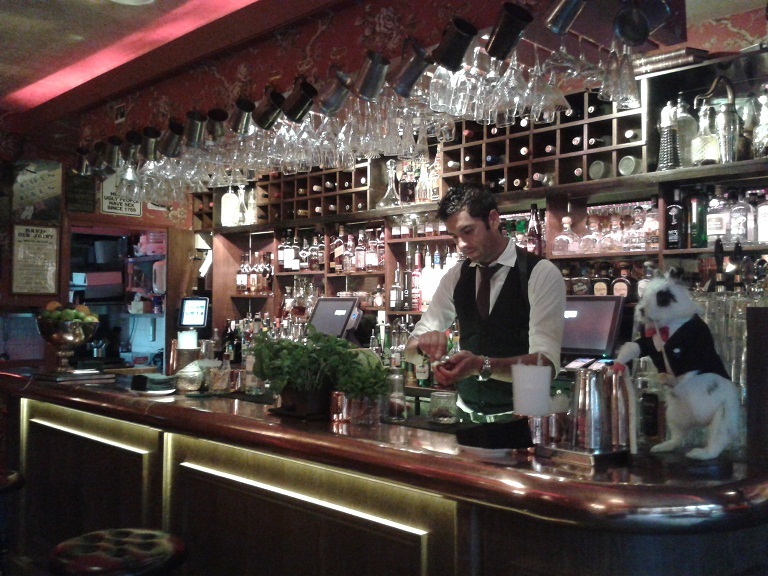 Now I’ve come to the conclusion that it’s not actually my fault I didn’t know much about South Kensington even though I was so often passing through – it’s because a lot of the best bits of South Kensington are hidden away. From anonymous doorways hiding speakeasies to hidden gardens and underground restaurants, there is a whole new world going on in SW7 in addition to the many delis and restaurants which are full of tourists and students every day. The traffic-and-commuter-saturated High Holborn usually has little to recommend it, being full of gridlocked buses and office workers doing the twice-daily rat run to and from the tube. But an grand oasis of opulent charm and fine dining has just arrived and is well worth putting off the journey home for. 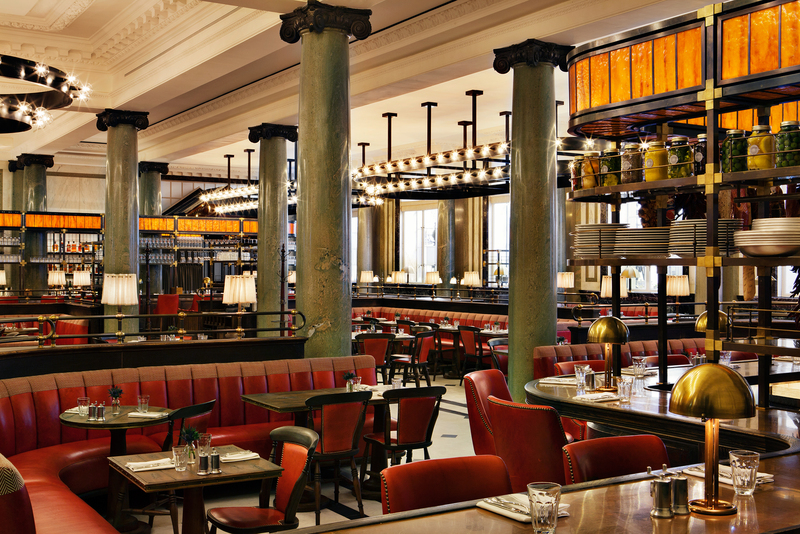 Holborn Dining Room, which opened just a few weeks ago, is located the old Pearl Assurance building, so it has all the high-ceiling’d formal grandeur of a former financial institution complete with marbled pillars. 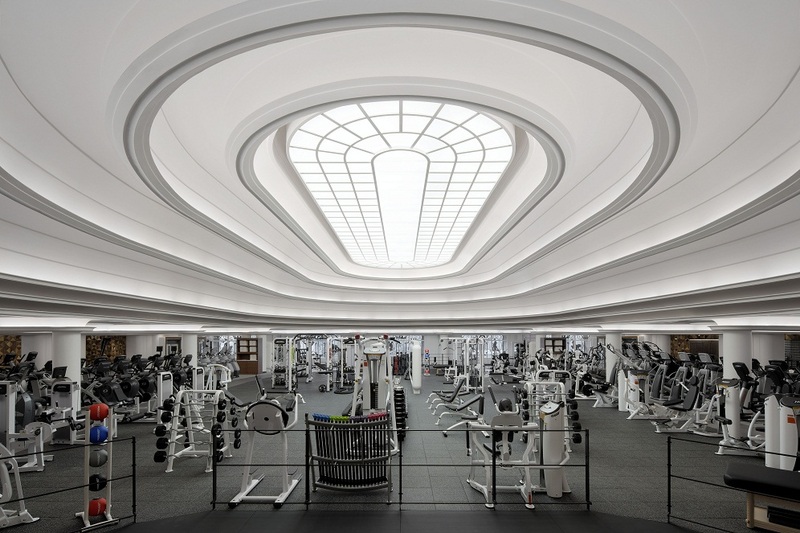 The rather impressive Art Deco-style workout space at Equinox Kensington. Equinox London could possibly be one of the most expensive gyms in Kensington, London or even the country. And it doesn’t even have a swimming pool. But the US fitness chain Equinox, which is huge across America but which has only one outlet in the UK, in London’s posh Kensington postcode (a sister club purely for personal training opened last year in the even posher St James’s district by Piccadilly – check out E by Equinox – also called E St James) is not going to apologise for its eye-watering prices. ‘It’s not fitness – it’s life,’ proclaims its website. And who is going to cut corners on ‘life’? It was off to the rather fabulous private members’ club The Arts Club on Wednesday evening and the launch party for its new hotel. Sadly the hotel itself, with its 16 rooms and suites, will not be open for guests until 2015, but pictures and an explanatory talk by its designers, Sagrada, certainly whetted the appetite. 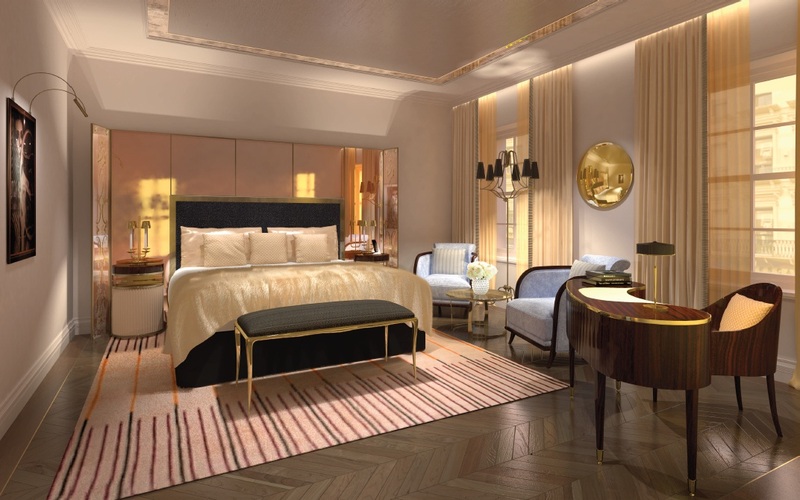 The opulently-appointed rooms, which will be on the second, third and fourth floors of the Georgian building, will be designed in a early 1900s-Europe style, with lashings of marble, stretched fabrics, hand-tufted rugs and ‘eglomise’ mirror panels (where the glass is gilded on the back with gold or metal leaf). However the main draw is likely to be the superb location just off Piccadilly within a cocktail olive’s throw of the Ritz, Langans and the Wolseley, not to mention a free run of all that The Arts Club has to offer, including three restaurants of its own, a garden and a stunning bar and nightclub. While launch party guests might have to wait a while for their chance to stay in what The Arts Club’s Alice Chadwyck-Healey described as ‘high-quality, glamorous and discreet’ suites, the goodie bags of champagne, chocolates and a scented candle at least gave them the chance to enjoy a little bit of luxury at home. 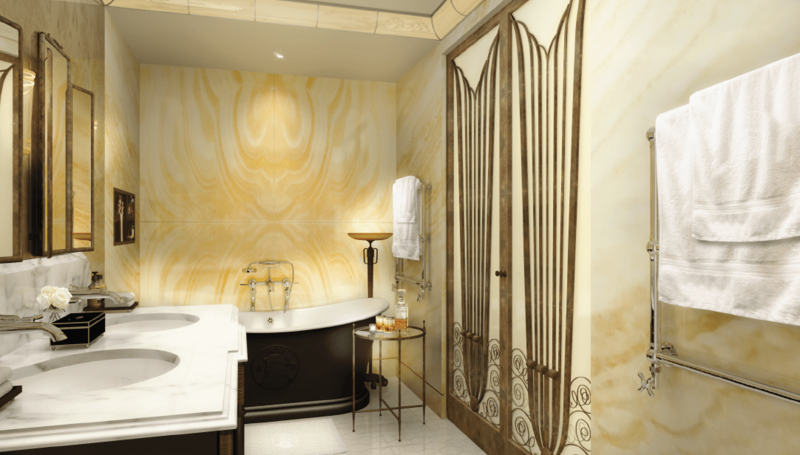 Possibly without the eglomise mirrors.